From Backyard to Table: 4 Nutritious and Edible Weeds! Backyard weeds are a common nemesis of homeowners seeking perfectly groomed grass lawns. 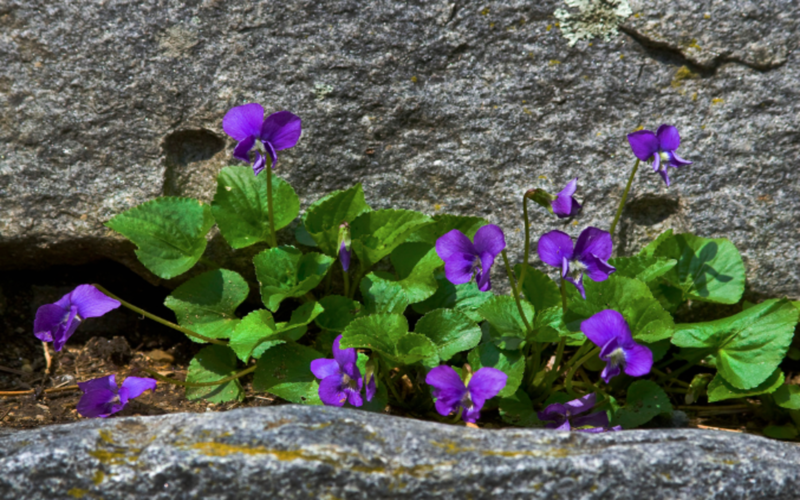 Weeds like bright yellow dandelions and deep purple violets alike are often targets of herbicides, despite their often persistent existence. But did you know that plants that survive against all odds are often the most nutritious? For example, leafy greens that grow with their leaves spread wide, like kale, are more nutritious than iceberg lettuce that grows in a tight ball. This is because the all of the leaves of kale are exposed directly to the environment prompting them to produce a slew of defenses, known as phytonutrients. These phytonutrients translate into powerful nutrients for our bodies that provide health and vitality in a variety of ways. And while we may see them as weeds, many traditional cultures have seen them as food and medicine for hundreds of years. Bringing weeds from your backyard to your table results in less work for yourself, a reduction in your use of herbicides, and access to some free, powerful nutrition. 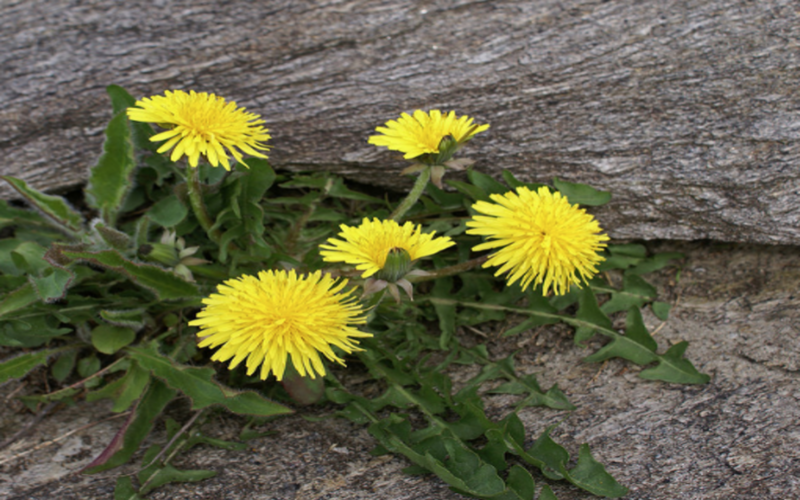 Check out these four weeds that are readily available and perfect for adding to your meals! If you haven’t already heard about the health benefits of dandelions, you might be a little late to the party. The entire plant – flower, leaves, and root – is edible and has been used in traditional societies as food and medicine for thousands of years. In fact, it was first documented as a medicinal treatment in the Middle East in the 10th century. This long history makes sense given that these pesky weeds are packed with nutrients – they boast a massive 535 percent of your RDA for vitamin K and 112 percent of your RDA for vitamin A. They’re also high in vitamin C and B6, thiamin, riboflavin, calcium, iron and manganese, magnesium, phosphorus and copper. These guys might be on the bitter side if you eat them raw but they take on a delightful taste when cooked and seasoned. You can also try making a Dandelion Green Smoothie or Dandelion Green Dressing for your next meal! Though they share a name, broadleaf plantains are not related to the plantain variety that look like bananas. 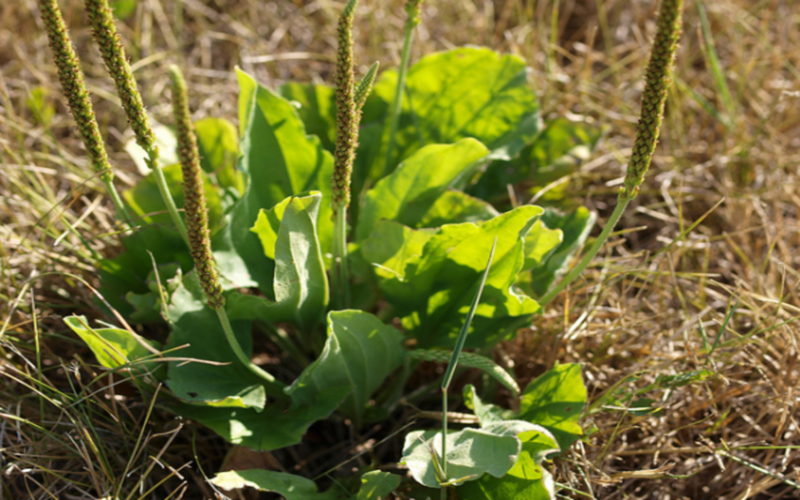 The broadleaf plantain is actually an incredibly nutritious herb that’s related to spinach. It is native to Europe and Asia and, like its cousin, is packed with vitamin C and A and iron. As a powerful medicinal herb used by Native Americans for hundreds of years, it has a use as a demulcent to relieve coughs and as an infection-fighter, among many others. You can avoid their tough, bitter taste by boiling them for about three minutes and adding them to a dish like this Summer Veggie Sauté or used to make roasted plantain chips (find directions here). If you’re looking for a beautiful flower to top your smoothie bowls or cakes, violet is your answer. Native to Eastern North America, this often pervasive plant has an edible leaf and flower. Both are highly nutritious, containing vitamins A and C as well as a slew of antioxidants. They also have a reputation as a medicinal plant, used in India for headaches, colds, and skin problems. There’s a lot of ways to incorporate both the leaves and the flower into your diet, including making candied violets (find a guide to making them here) or add the leaves to a salad like this Herb and Rice Salad with Beet Chips. 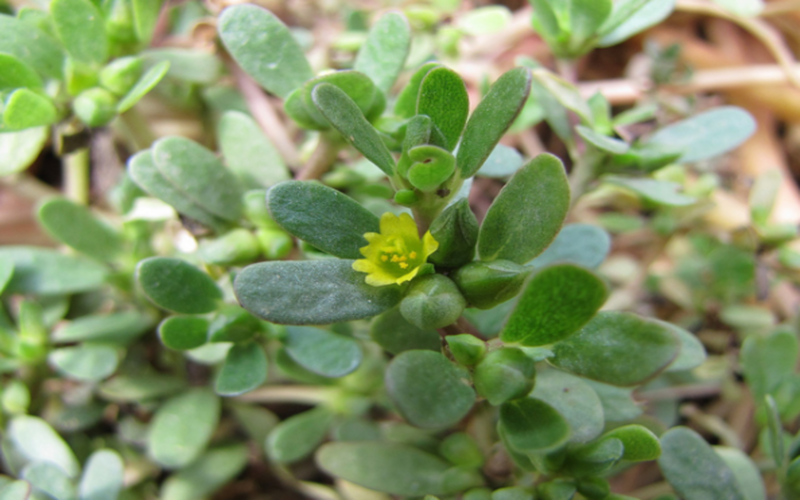 Native to Asia but now found all around the world, you’ll recognize Purslane for its fleshy, round leaves and yellow flowers. It is notable for being a great source of omega-3 fats as well as vitamin E, C, riboflavin, potassium, and phosphorus. It also comes with a little bit of a crunch and lemon taste which can be a nice option if you’re not so partial to more bitter greens. It also makes for really versatile and delicious recipes like Eggplant and Purslane Pilaf or Quinoa Salad with Figs, Purslane, and Goji Berries. Edible weeds can be a wonderful, colorful, and addition to your cooking creations, and best of all, they are readily available. Happy cooking! I add purslane and dandelion leaves to my salad all the time :-) my friends and family think I am weird haha..
Rather see flowers in a lawn than a perfect boring lawn any day.